Mirror,mirror on the wall who's the cheekiest of them all?! 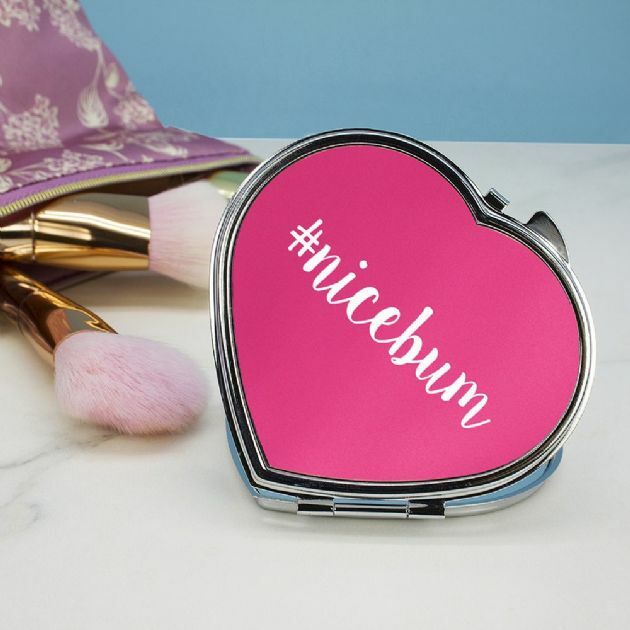 This fun and flirty compact mirror is a fantastic gift for the one you love. In a heart shape with a hashtag design,this mirror is sure to bring a smile to her face. Personalise with a cheeky message up to 12 characters. The hashtag comes as standard text so please do not add this to your personalisation.